With a Baseball World Cup held every two years in the under-12 category, and Softball World Championships for junior men and women staged on the same cycle, baseball/softball truly is a sport for all ages. First staged in 2011 in Taiwan’s capital Taipei, the Under-12 Baseball World Cup is the most elite and highest level of competition in its age category. 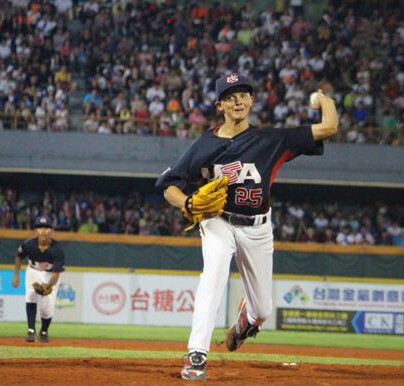 Unlike other youth international competitions like the Little League World Series, which involve local clubs, it is the only global event across baseball, and all of sport, to feature national teams in this age group - 11 to 12-year-olds. Dimensions of regulation Under-12 Baseball World Cup ballparks are significantly increased compared to local youth leagues, due to the superior nature and strength of the players involved. Because the event is considered a "World Championship", the results of the tournaments affect the WBSC world rankings, which you can read about by clicking here. The inaugural 13-team competition took place in July 2011 and was won by hosts Chinese Taipei, who overcame Cuba 3-2 in the gold medal match. The United States are the three-time reigning champions having defeated hosts Chinese Taipei 7-2 in the 2017 finale. Through the tournament, the WBSC is aiming to assume a leadership position for this age bracket in conjunction with major youth baseball organisations to further develop and promote baseball across the world. The Junior Softball World Championships are held biennially with the men’s staged in even years and the women’s in odd years. Open to under-19 national teams, both events were first held in 1981 since when there have been a further 11 editions of each. Australia are the reigning men’s champions having beaten Japan in the 2018 final, while the US hold the women’s crown after defeating Japan in the 2017 final. Baseball World Cups at Under-15, Under-18 and Under-23 levels are also firmly established on the calendar. The shining lights from the age restricted competitions can then set their sights on making their mark at the major senior events, such as the WBSC’s flagship international baseball competition, Premier12. Others include the Women’s Baseball World Cup and the men’s and women’s Softball World Championships.